As the title states, yes there's another beauty box in town! or erm... country. But anyways i'm so excited to share this new beauty box with you all! 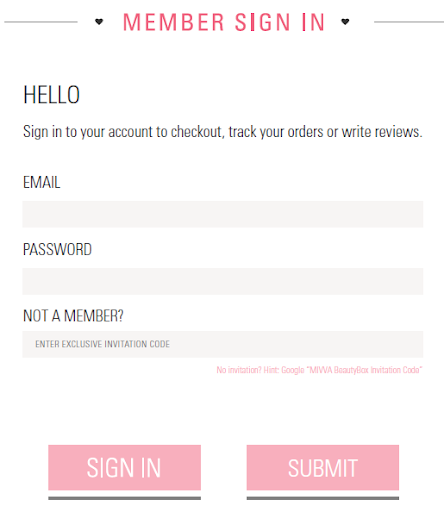 The difference between MIVVA and other beauty box is that they are pretty exclusive and not everyone can sign up for their box. But because they contacted me, I am able to give you ladies opportunity to sign up for their December's beauty box! Tomorrow, December 7th 2012 they will be launching their new website! Woohoo! I'm really really excited! Given that they are exclusive, you will need an Invitation Code to sign up for their box. What you will get from their December's box are 5-6 deluxe beauty products packed in a pretty gift box, at only RM38 per month! I'm really really excited and can't wait to get their beauty box! Hope you girls get yours too! yeah !!! thanks Joanna ! !